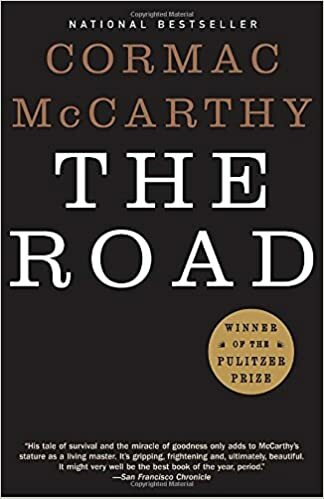 Executive Summary: In the aftermath of an unnamed ecological disaster (or possibly nuclear winter), a man and his son travel along a now-unused road, heading for the coast, eating canned food and avoiding the dangers posed by desperate people and a forbidding environment. Dystopian Visions: A total breakdown of social institutions, creating an ultra-Hobbesian every-person-for-themselves dynamic. Life is about as terrifying as you can imagine. Utopian Undercurrents: None. The book is not monotonically pessimistic, in that some vestiges of human compassion do survive the apocalyptic event, and the relationship between father and son is moving. But McCarthy's post apocalyptic USA is both grim and dark. Level of Hell: Ninth. This is hell. Legacy: The Road was a literary sensation that crossed over to the mainstream, thanks to the Oprah Book Club. It also won the 2007 Pulitzer Prize for fiction. In Retrospect: The Road is probably, by now, the most well-known postapocalyptic novel ever written. The reputation is largely deserved; though it is not the best postapocalyptic novel I've read, it easily cracks the top 5. The prose is lyrical, the story gripping and the imagery haunting. Most importantly, the book has a strong emotional core, namely, a father's love for his son. It is terrifying and bleak yet, at the same time, contains a focal grain of optimism that separates The Road from mere horror.